We invite you to come learn more about log home building with a visit to Honest Abe’s headquarters in Moss, TN. In an effort to do all they can for their homebuyers, Honest Abe provides a year-round schedule of events and seminars to help educate and inform. These exciting demonstrations allow you to learn more about the unique aspects of log home construction and every element of their quality building process. Honest Abe’s new Events Building can hold large classes and is comfortable for all. 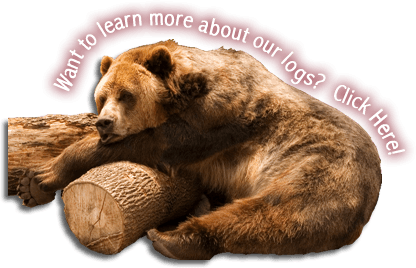 Log raisings, construction seminars, and new customer orientations are performed year-round. Other events you can attend include our Tour of Homes and local or regional Log Home Shows. Please contact us for an updated schedule of events, or sign up for future newsletters that will promote several industry events taking place around the country and throughout the year. The Log & Timber Home Show is returning to the Music City Center in Nashville, TN on January 18-20, 2019. Speak with Industry Experts. Buy Rustic Furniture. Attend Workshops. View Floor Plans. Build your Dream. All this and more will be available at the Nashville, TN Log & Timber Home Show – don’t miss it! Honest Abe National Headquarters will be hosting a log raising event in Moss, Tennessee. Everyone is invited. We will be constructing a small log home and discussing products that are included. Anyone interested contact us by phone or email to register. Dates subject to change. Please confirm with Bear’s Den prior to event date. The Log & Timber Home Show is returning to the Infinite Energy Center near Atlanta, GA on March 2-3, 2019. Speak with Industry Experts. Buy Rustic Furniture. Attend Workshops. View Floor Plans. Build your Dream. All this and more will be available at the Atlanta, GA Log & Timber Home Show – don’t miss it! We can’t believe we are finely in our dream home. After approximately six years of planning and researching different companies and contractors we are happily settled in our new home. The means in which you, Honest Abe and Custom Homes of Asheville made us feel so at home and comfortable designing and picking everything out was terrific. The chance to work with Darleen Dawson was a very enjoyable and relaxing experience. Darleen’s work efforts were above and beyond our expectations. Her efforts went beyond the “Salespersons” pitch to include co-ordination of log deliveries, insuring construction schedules, and occasional monitoring of log home construction. Having a broad background in construction enabled Darleen to provide superior selection for general construction contractors for review and selection.